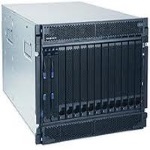 Maxicom Global has a wide variety inventories of used HPE Servers. We can supply powerful servers engineered for large-scale databases and applications, down to entry-level workstations. From the latest in rack mount servers to the tower servers platform, whatever the size of your company, we have the right-size solution for HPE servers. BL 460c, BL 465c, BL 685c, BL 860c, BL 680c,.